Hostels are all about meeting new people, but how to break the ice with strangers? No need to wade into someone’s personal space, it’s time to ditch the nightmares of storming down walls of aloofness, and by the way – the awkwardness is all in your mind. If you’re a solo traveller, it’s tough buying for one. Buy in bulk if you’re staying for more than a couple of days: it’s cheaper, you can bet you’ll find someone who wants to taste your speciality of pasta with beans, and if they don’t then hey – you can always freeze it. A lot of hostels provide pancake mixture for free: a great ice-breaker, and again, that common theme – free food. Here’s a line which could potentially change your plans, too: listen to fellow hostellers, be open to ditching the rigorous schedule and do something spontaneous – lose the itinerary and go on a day trip with a new group of people. It might be the best thing you ever decided to do. It might be considered a well-worn pick-up line for some, but you could find yourself a knowledgeable local guide. … Or bar crawls, or free food evenings, or barbecues, parties, local tours. Hostels put on plenty of events to help get the conversation flowing. Sign language and interpretive dance are always good fun, but communication is easier if you speak the same language. If you don’t – now’s the time to learn! Obnoxious travellers will always generate a response, even if it’s not the desired one. We’re all for straying from the well-worn sightseeing path, but you may find repeating this again and again comes across as a little pretentious. After all, you’re a stranger here too; however you define your terms. I washed my t-shirts one time with the high priced travel soap. Guess what? I had soap stains on my shirt and it still smelled manky. 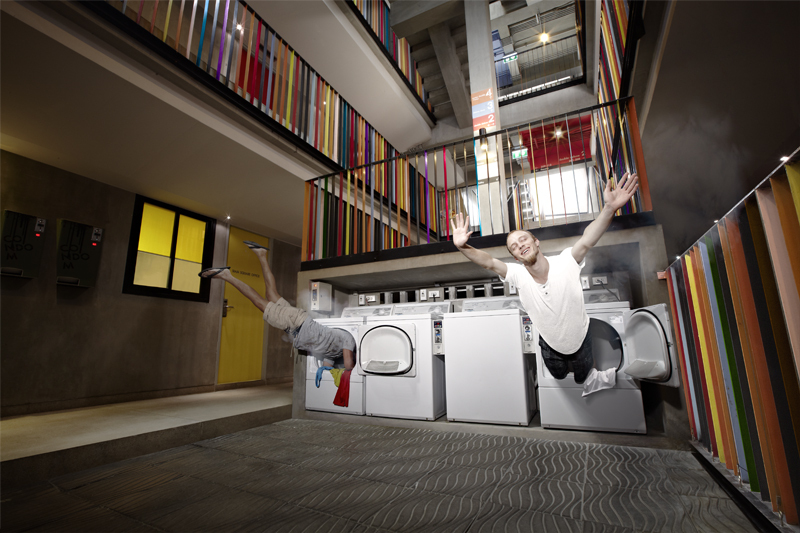 I have yet to visit a hostel that didn t offer cheap laundry service or at least know where one was located nearby.